To highlight the remarkable heritage, wildlife and recreation of the California Desert, The Wilderness Society announced tours with partners to explore California’s Desert Treasures. From colorful wildflower blooms to endangered desert tortoises, these Desert Treasures reveal a remarkable and diverse landscape that should be protected for future generations. Nov. 11, 2014 – Rainbow Basin – Owl Canyon, in Rainbow Basin, is a spectacular canyon, where desert tortoises make their homes amongst the colored rocks and the power of geology to shape a landscape is on display. The hike is moderate, with some rock scrambling required. Bring the kids and celebrate Veterans Day in this incredible, lightly visited desert gem. This 3-4 hour, 3-4 mile round trip hike, will be in the late afternoon to show off the colorful canyon walls at their best. Dec. 6, 2014 – Chuckwalla Bench – The Wilderness Society will partner with the Mojave Desert Land Trust to lead a daylong driving tour of Chuckwalla Basin on the historic Bradshaw Trail. This tour will require 4WD vehicles. Though we’ll be covering a lot of ground, we’ll be getting out of our vehicles frequently to enjoy this wild, scenic, and little-visited part of the Colorado Desert, home to one of the best habitats for the endangered desert tortoise. 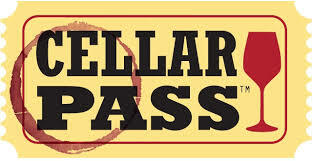 CellarPass, the first online reservations system for winery, brewery and distillery tasting rooms and special events, announces a strategic partnership with Yelp. The marketing partnership marks the first integration of a reservation-based platform into Yelp’s new transaction platform, and is a major milestone in the growth of CellarPass. While the partnership has progressed quietly over the last few months, Yelp put on the “finishing touches” and officially announced the news October 21 on the Yelp blog. In addition to booking with CellarPass through Yelp, now visitors can also have food delivered with the integration of EatStreet, ChowNow and Ordr.in, and book hotel stays through Hipmunk. Launched in mid-2010, CellarPass is the leading real-time tour, tasting reservation and ticketing service that offers consumers easy and free access to confirmed tickets and reservations, online or through their popular mobile iOS app and mobile-friendly website. CellarPass enables beer, wine and spirit-lovers to search experiences at the most in-demand destinations in the United States, plan their visits via CellarPass’ preference-matching search tools, make reservations and, with the guidance from the CellarPass iOS app, navigate to the destination or special event on time. Save up to $1,200 per stateroom* on over 150 cruises to the Caribbean, Mexico, Panama Canal and more! Plus, if you book by November 6th, we’ll give you a FREE bottle of Nicolas Feuillatte champagne^ AND you will get the opportunity to dine in one of our specialty dining restaurants with FREE specialty dining for two!†. Hurry for the best stateroom selection and celebrate with us! Crown Cruise Vacations President Ross Spalding congratulates Princess Cruises on its upcoming 50th anniversary and highly recommends a Princess cruise to celebrate. It all began 50 years ago with a cruise to Mexico and a single ship — Princess Patricia®. Today, Princess Cruises takes guests to the world’s greatest destinations on board 18 magnificent cruise ships while introducing them to new experiences they will never forget. So join Princess in 2015 on a cruise vacation filled with special events and surprises and toast its historic 50th Anniversary! Note, some of the listed items are available on specific ships or dates. On land, another highlight will be Princess Cruises ringing in the new year and its 50th anniversary in an unprecedented way – with its first-ever float in the world-famous Rose Parade on January 1 in Pasadena, Calif. As a special feature the six original cast members of The Love Boat television show will ride on the ship’s bow and “cruise” down the five-and-a-half mile parade route. The Princess Cruises float will be 60 feet long and 24 feet high, and will be covered by more than 24,000 thousand flowers and natural materials. Angama Mara, a luxurious new safari lodge overlooking Kenya’s Maasa Mara, is scheduled to open in June 2015. The lodge, situated where the award-winning movie Out of Africa was filmed, will be comprised of two separate and intimate camps, each encompassing 15 tented guest suites placed just on the edge of an escarpment. The lodge will boast the most outstanding game viewing of the Mara Triangle in all of Africa and will encompass a private track into the park to witness one of the continent’s most dramatic events, a Mara River crossing. Inspired by the Swahili word for ‘suspended in mid air,’ Angama Mara will seem to float 1,000 feet above the Great Rift Valley where, every morning, hot air balloons sail past the 30-foot-wide floor-to-ceiling glass fronts of each tented suite. Group travel provider Group IST today announced the launch of Arcadia Small Ship Cruises, a fleet of fine small ships, including yachts and barges, sailing to hard-to-reach domestic and international ports of call. Partnering with Blount Small Ship Adventures, CroisiEurope, Rivages du Monde and Variety Cruises, Arcadia Small Ship Cruises offers programs to destinations including Cuba, the Mekong River, Seychelles, Costa Rica, the northeast United States, the Greek islands and France’s rivers and canals. Arcadia aims to offer American travelers a more service-driven and personalized cruise experience at affordable prices, with per passenger prices starting from as little as $1,460. Arcadia Small Ship Cruises offers cruisers programs to a variety of international destinations on state-of-the-art ships, while providing intimate service and fine dining. Arcadia sails to diverse ports of call many larger ships cannot reach, including the islands of New England, the Adriatic and the Panama Canal. Most Arcadia ships and mega yachts accommodate no more than 100 passengers, allowing a more personalized connection with the staff and fellow passengers. The company’s commitment to exceptional service and small guest-to-crew ratios make for an unsurpassed cruise experience. For more information please visit http://www.arcadiasmallshipcruises.com. Group IST (International Specialty Travel) produces content-rich, original, thematic, educational and interactive travel programs that are tailor-made for organizations and groups. The company features one-of-a-kind land and waterborne venues around the world. With a staff of tourism professionals who are recognized travel experts and scholars, Group IST is passionate about its areas of specialization. For more information please visit http://www.groupist.com. Armchair Traveler or Bucket List Enthusiast? Are you an armchair traveler or in search of the next great bucket list-worthy getaway? Check out http://www.allwaystraveller.com/, which provides independent travelers with an equally independent view of the world from the International Travel Writers Alliance. Please pass on information about AllWays traveller to anyone you know who will enjoy our travel features and information. Located just 15 minutes from San Francisco, the beautiful beach-front town of Pacifica is the perfect destination for a quick three-day getaway. And now, the sometimes eccentric always alluring Sam’s Castle is open to the public for tours and curiosities once every month. The 100+ year old castle is a cornerstone in Pacifica, filled with a history of allure and indiscretions. The site has been a speakeasy, brothel, US Coast Guard barracks, clinic, artist’s workshop, party place and residence of an established San Francisco family. With 24 renovated rooms, the castle is a museum of gothic glory . While some claim the venue is haunted, others find great pleasure in reliving a past filled with glory and censure. Located near Sharp Park, just off Highway 1, Sam’s Castle was built in 1908 by Henry Harrison McCloskey, the grandfather of former congressman Pete McCloskey. After the 1906 earthquake, McCloskey was spooked by the San Francisco disaster and sought refuge in the fortress he built for his family’s security, which has not “budged” since its inception. -Check into one of six hotels, there’s something for everyone’s taste and budget (please see hotel reference guide below). -Enjoy lunch at Nick’s and be sure to order the signature grilled crab sandwiches or one of the hand-cut steaks. -Take a guided Silicon Segway tour around the town and along the ocean bluffs to get your bearings and background of the area. -To rejuvenate, take a brief power nap or leisurely walk along Rockaway Beach. -Have a pre-dinner glass of wine, while enjoying live music at A Grape in the Fog in Rockaway Beach. -Book a table and enjoy the sunset with a spectacular panoramic ocean view at Moonraker Restaurant, Pacifica’s fine dining restaurant. -End the evening at Pacifica Spindrift Players for an engaging evening of theatrical entertainment. -First thing in the morning, head out to the Pacifica Pier with fishing gear, crab trap, tackle and bait, which are all available for rent at Coastside Bait & Tackle. They also provide instructions on set-up needs to catch fish and crab (in season). As it is a public pier, a fishing license isn’t required. -For a hearty breakfast, check out the menu at Valamar Station, which features large portions of the best, freshest fare. -Hike/walk the gentle path of the new Devils Slide Trail. Interpretive signage and stunning views of the Pacific are the focus. -Enjoy a spot of tea and light snack at Lovey’s Tea Shop where the mismatched china and quirky décor are easy on the eyes. The tea choices are out of this world and the menu features everything from hearty pub fare tea sandwiches, homemade soups and delicious pinafores to gluten-free options…and all the tea you can drink. -Rest up with a quick nap or read a book on the beach. -For dinner, head to the new Puerto 27 Peruvian Kitchen and Pisco Bar and be sure to sample a variety of menu items, tapas style. -Check out who’s performing in town at www.pacificaperformances.org. The theatre features everything from opera to tango, blues and folk. -Enjoy breakfast at the Salada Beach Café where choices range from healthy to hearty. -Take a private painting class with Janet Barker on one of Pacifica’s dramatic beaches. Be sure to set up your appointment with this “art-trepreneur” ahead of time. This is an ideal activity for those that want to bring home their painting as a memento of their Pacifica getaway. -Lunch al fresco at the Surf Spot and enjoy fresh seafood dishes and salads. -Then, as your getaway winds down, take a pick from the several adventure options…a leisurely hike at Mori Point; powering up and down some of the most intriguing mountain bike terrain in California; paddle boarding at Linda Mar Beach; hitting the links at the Alister MacKenzie-designed Sharp Park Golf Course; or surfing the popular beaches of Pacifica (surf lessons are available for those who need a refresher). Travel Tip: For more information about Pacifica, log onto VisitPacifica.com. Also highly recommended is the iPacifica mobile app for Apple or Android devices, which provides information on dining, shopping, galleries, lodging, weather and more. Pacifica’s ethereal beauty is enhanced by its Mediterranean-style weather. Refreshing temperatures range from 15-20 degrees cooler than the central coast, drawing visitors to Pacifica’s shoreline to cool off during the hot summer months with its natural air-conditioning and attractive oceanfront accommodations. Likewise, Pacifica’s equally-appealing winter travel season provides a dramatic setting for those interested in off-season values and romantic getaways. Of the many diversions, Pacifica boasts some of the most breathtaking panoramic vistas atop a wide range of hiking trails and walking adventures along the expansive beaches dotting the destination’s shoreline. Additionally, there are a range of recreational options, including surfing, boating, scuba, fishing and paragliding, birding, cycling, golf, tennis, bowling, archery and horseback riding. Grab your Wojo Wallet and Go! The Wojo wallet is the sporty wallet for the minimalist! Utilizing a unique design, the silicone and neoprene-lined sleeve can hold your cards, driver’s license, some cash and even a key in place and secure, thanks to the trusty outer band. The Wojo Wallet is the only wallet that can truly go anywhere, and is versatile enough for any user! Going to the beach? No problem! Not only is it water-resistant, but the Wojo Wallet also floats! Worried about carrying your wallet with you to CrossFit or Yoga class? Your worries are now over! Wojo wallet is sweat and grunge resistant and can even be tucked into your yoga pants to stay secure. The amazing thing about the Wojo Wallet is truly its versatility. Not only is it the only option you need for day-to-day activities, but the Wojo Wallet is an amazing addition to any travel bag. Think about the possibilities of jetting off to Paris, with Wojo Wallet at your side, and dreams of the Tour de France in your immediate future. If you’ve dreamed of seeing the most magnificent of the world’s ancient wonders, here’s your chance. For the price of a new mattress, bicycle or refrigerator, you can visit the magical temple of Angkor Wat and other remains of Cambodia’s great Khmer Empire, plus all the attractions of Vietnam, whose people are delighted to welcome American visitors. World Spree’s unbeatable15-day Best of Vietnam and Cambodia tour covers all the above for only $3,299 from San Francisco. That price includes transpacific flights on Korean Air, all other flights and transportation, deluxe hotels, daily American buffet breakfast, 16 other meals, comprehensive sightseeing, entrance fees, professional English-speaking guides, taxes and fuel surcharges. Prices rise in December, but go down again in February. Direct flights are also available from Los Angeles, Chicago, Dallas, Atlanta, Washington, D.C. and New York for an additional price. The tour begins in lively Ho Chi Minh City, better known as Saigon, which boasts glass skyscrapers in addition to ancient temples, French-colonial architecture and the infamous Cu Chi tunnels. Then there’s Hue, the old imperial capital that is home to a wealth of royal palaces, temples and gardens, and Hoi An, a relaxing port town full of traditional Vietnamese architecture (here you’ll have a river cruise and a free afternoon to enjoy the beach at an ocean-front resort). On to the capital, Hanoi, known for its 600-year-old Old Quarter, exquisite French architecture, leafy boulevards and the prison called the “Hanoi Hilton.” Next, a tour highlight: the spectacularly-beautiful Halong Bay, one of UNESCO’s World Heritage Sites, where you’ll have an overnight cruise on a deluxe traditional-style “junk” (well, yes, traditional, but it has private baths and air-conditioning). Finally, a flight to Siem Reap, gateway to the famous Angkor, built when it was capital of a Khmer Empire (802 to 1432 A.D.) that stretched across much of Southeast Asia. Here you’ll visit the magnificent Angkor Wat, the world’s single largest religious complex, as well as local villages and several of the other restored and ruined temples located in the dense Cambodian jungle. Both Vietnam and Cambodia have a fascinating history and rich culture but also, thanks to French-colonial influence, sophisticated cuisine and charming hotels. . In addition to the deluxe junk, hotels include the 5-star Renaissance Riverside in Saigon, the Sheraton in Hanoi, the Victoria Hoi An Beach Resort and Spa and the Victoria Angkor Resort and Spa. Note that almost all departures offer a complimentary tour of Seoul during a layover in Korea on the way home to the U.S.